In this two-day workshop you'll learn the basics of frontend development while building a working web app. If using a Mac, also follow these steps to install the code terminal command. 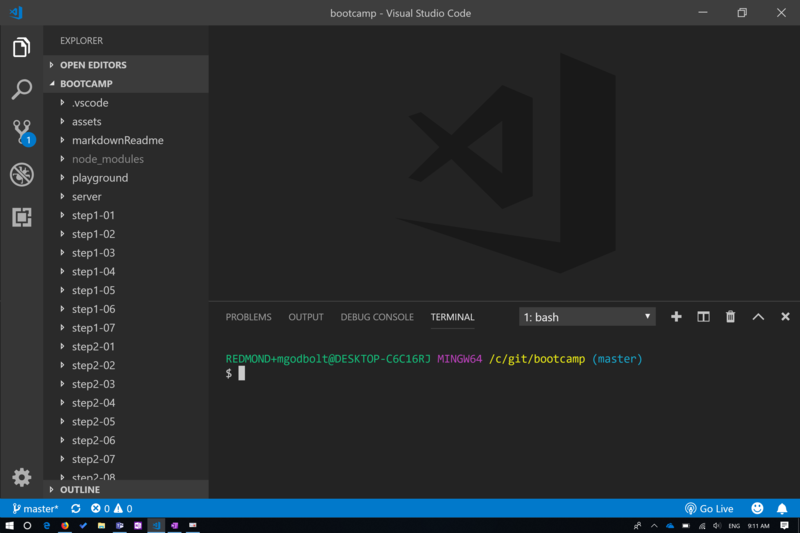 If you already had VS Code installed, check for updates! If on a Mac, be sure you've followed these steps first to make the code command available. This will load the site shown below. Demos will either be via CodePen (Steps 1,2 and 3) or done in the step folder. Follow the step README to walkthrough the demo. 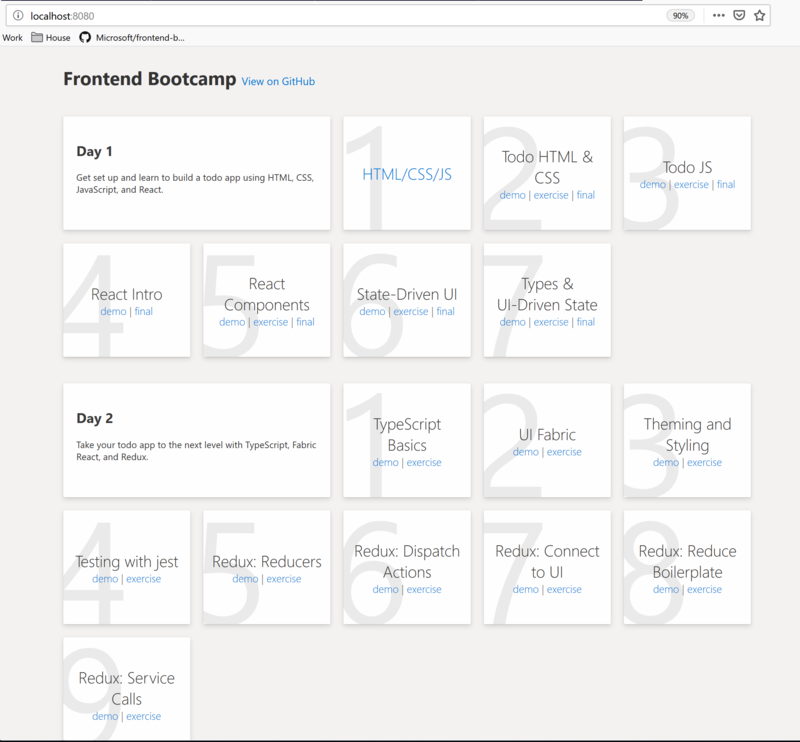 Much like demos, exercises are done via CodePen or in the project step folders. These exercises will give you an opportunity to try what was demonstrated in the first step. For each lesson, the presenter will walk through some demo code to teach core concepts about the topic. Don't worry about writing code at this point. Just follow along via the readmes linked below. Most lessons also have an exercise portion. Exercise instructions are usually found in the readme for each step's "exercise" folder.